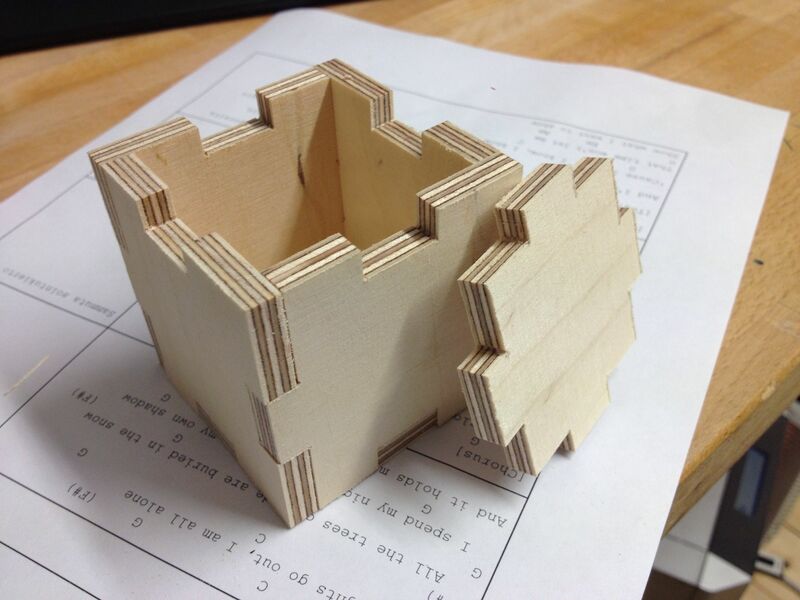 My first adventures in the land of CNC milling was to make a wooden box. I’ve always liked boxes, finger joints and computers. Don’t ask me why. 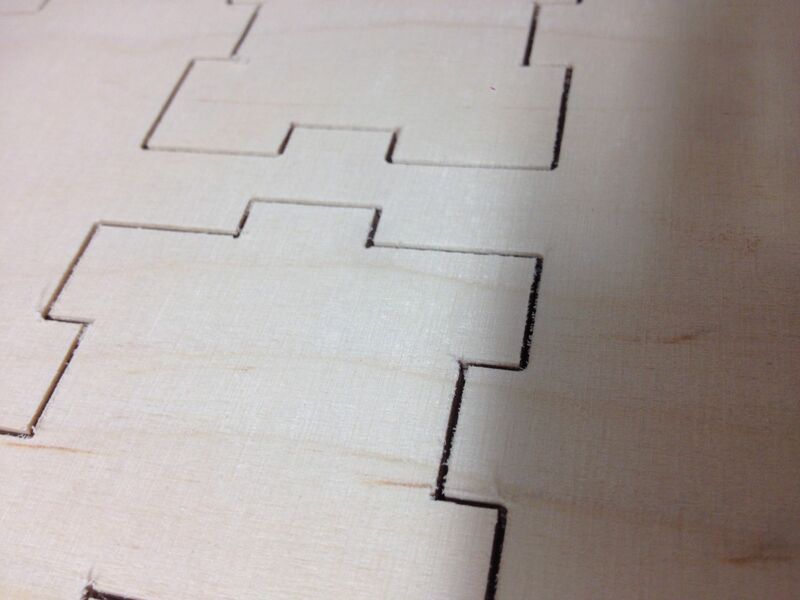 However the problem with CNC milling is that inner edges tend to come round – for some strange reason. 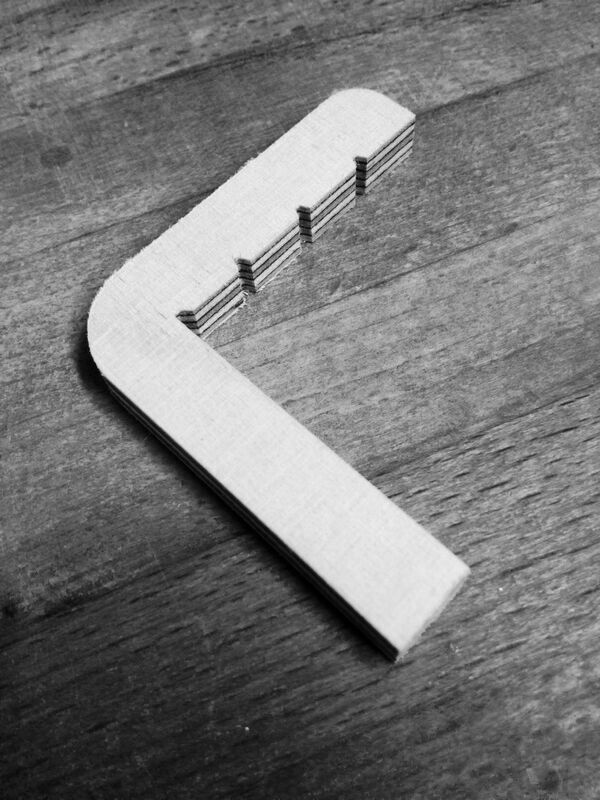 On a finger joint it causes problems; the pieces won’t go to the very end of the joint. 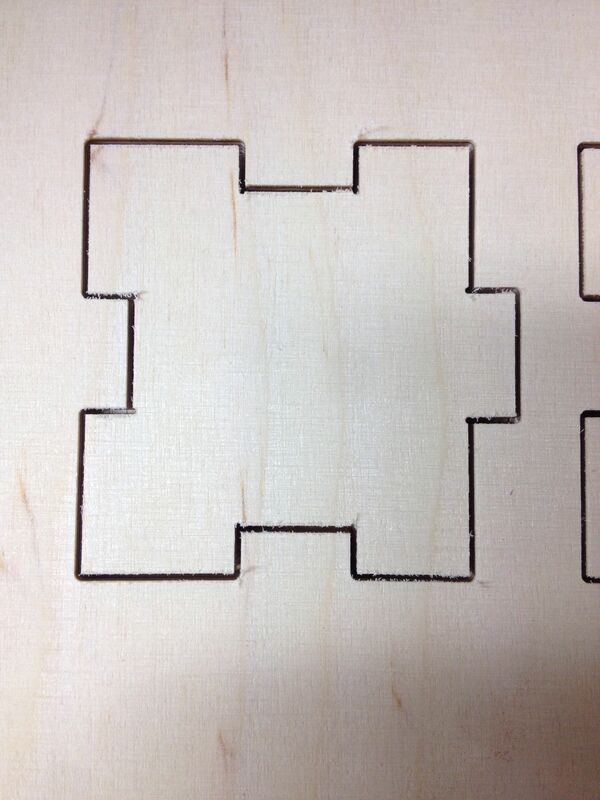 I overcome this by making a little “notch” at the inner edges (see images below). So I wrote a PHP script that generates a PDF that I can use when generating toolpath for the machine. Now I can make different size boxes with just changing few parameters! This entry was posted in mill on 12.8.2014 by admin.